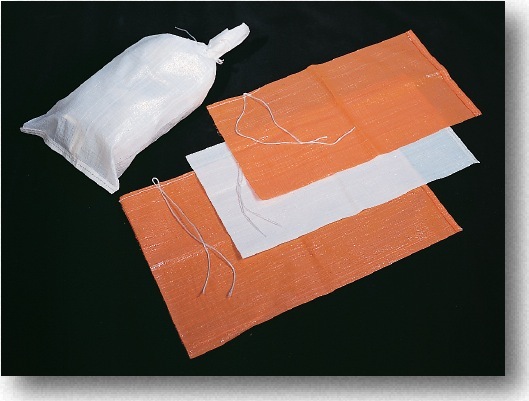 Our woven polypropylene sandbags come complete with heavy polytwine ties. They are available in white (1600 hr. UV protection) and bright orange (1600 hr. UV protection) for increased visibility. The sandbags come in 2 sizes: 14” x 26” weighing 50 pounds when filled, and 18” x 27” weighing 75 pounds when filled. 1000 bags per bale. Sold 100 pieces per bundle.